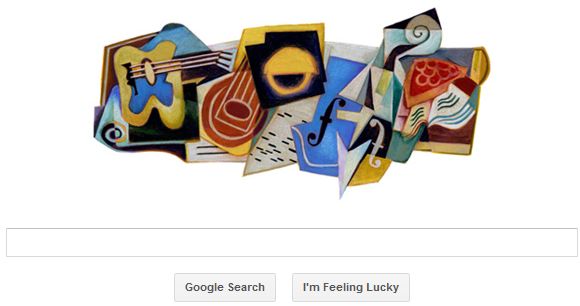 Google is celebrating Juan Gris’s 125th birthday with a new cubist doodle on its Google homepage. José Victoriano (Carmelo Carlos) González-Pérez (March 23, 1887 – May 11, 1927), better known as Juan Gris, was a Spanish painter and sculptor who lived and worked in France most of his life. His works, which are closely connected to the emergence of an innovative artistic genre — Cubism — are among the movement’s most distinctive.